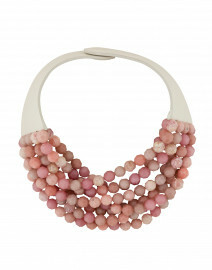 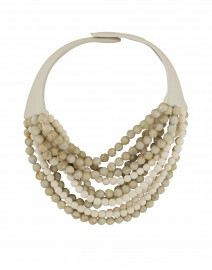 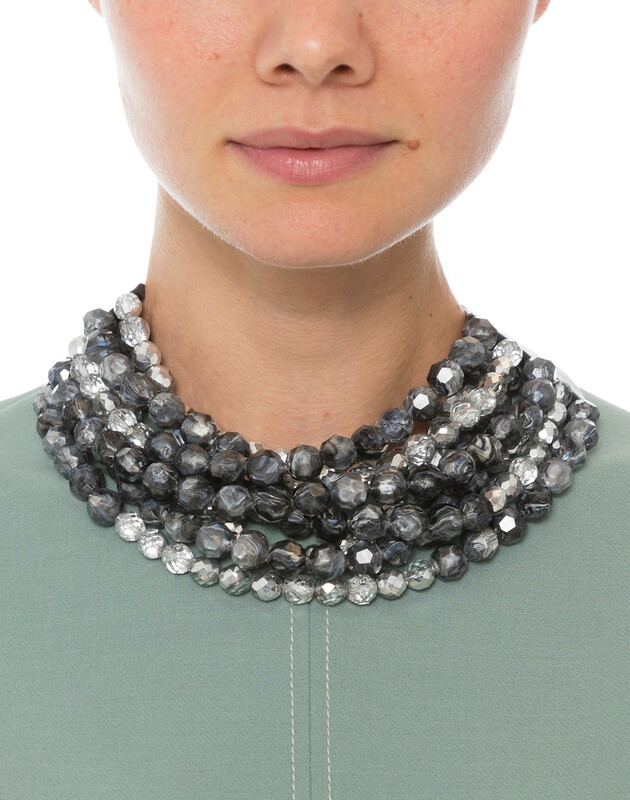 Fairchild Baldwin's Sabrina necklace is a lesson in modern glamor. 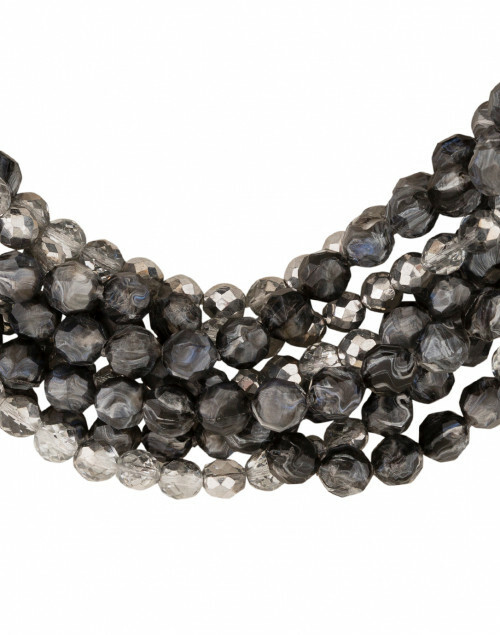 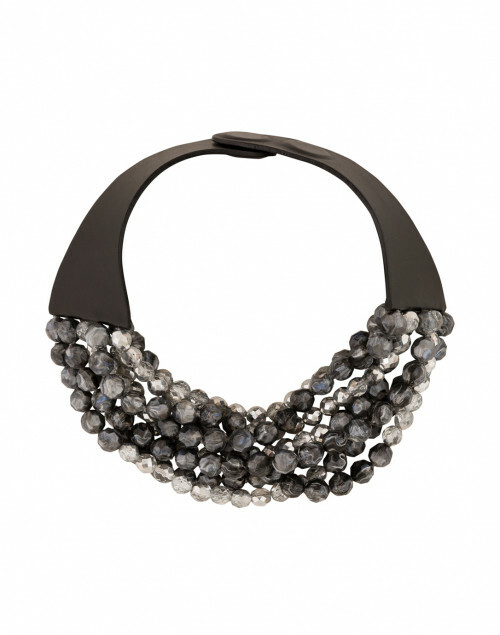 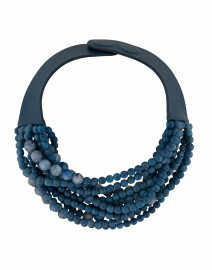 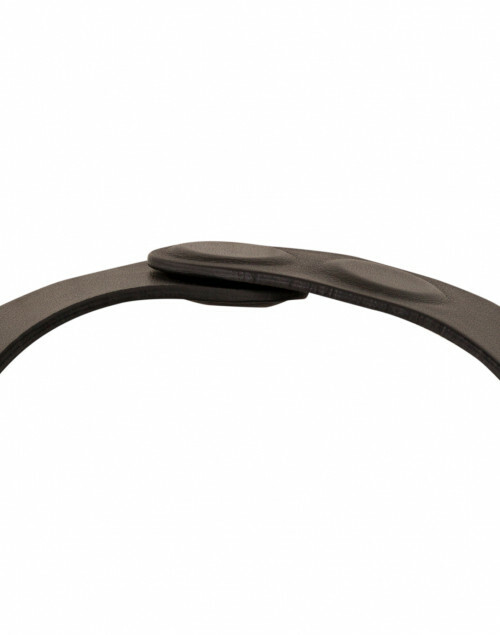 It's crafted in Italy from faceted glass beads and features a black leather collar with an adjustable magnetic closure. 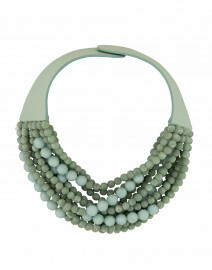 Let it stand out against a pale green top for a sophisticated, elegant look.